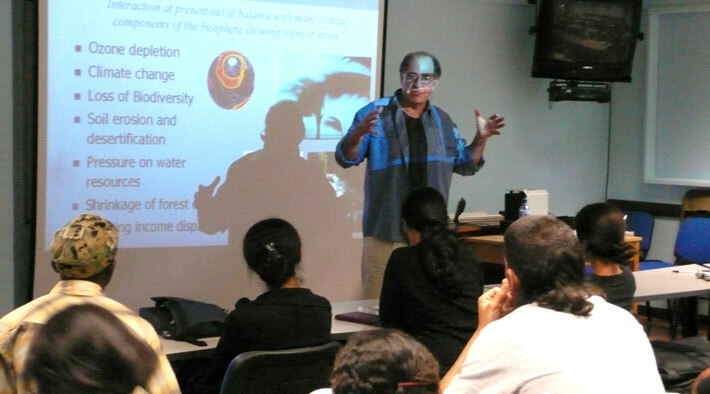 Presentations by Dr. Michael Ben-Eli on the work of The Sustainability Laboratory. 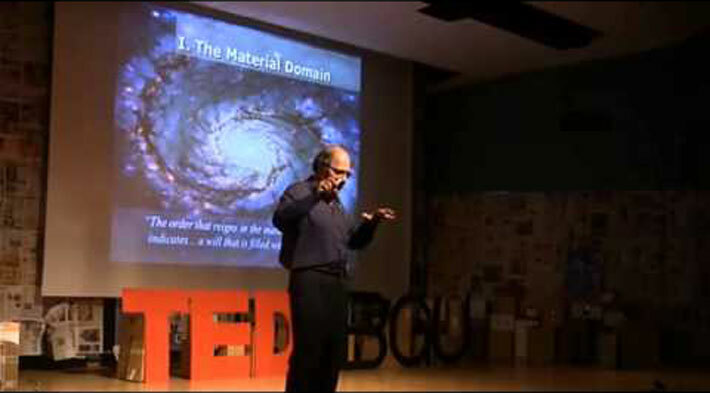 May 12, 2013 | Beer Sheva, Israel | TEDxBGU, Michael Ben-Eli presents: "Re-thinking Everything". 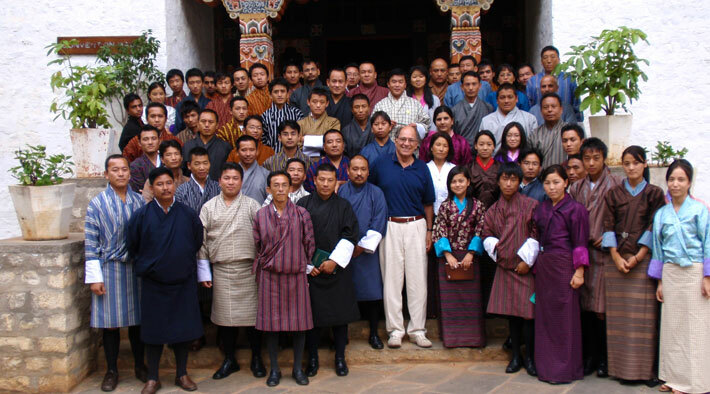 September 8, 2010 | Thimpu, Bhutan | Royal Thimpu College. October 23, 2010 | New Bedford, MA | Connecting for Change, Bioneers by the Bay Annual Conference. May 25 | Washington, D.C.
Dedication for the Agricultural Facilities at Project Wadi Attir. Mega Cities Project, Center for Social Innovation. December 11 - Washington, D.C. The Cohen Foundation, Israel Arab Forum. December 10 - Washington, D.C.
Jewish National Fund (JNF), Los Angeles Board. November 10 - Washington, D.C. Better World By Design Conference, Brown University and the Rhode Island School of Design, Providence. The Sustainability Laboratory, Global Sustainability Fellows program, pilot session at EARTH University. Jewish National Fund, Greater New York Area staff. Capacity Building Program for New Municipal Council Heads, Ministry of the Interior and the Hebrew University’s Center for Local Government. Metro State University, Department of International Studies. Anurvat Movement, 8th ICPNA, valedictory session. 8th International Conference on Peace and Nonviolent Action (8th ICPNA), Anuvrat Global Organization. December 9 - Washington D.C.
Ecology Study Group, Arava Institute for Environmental Studies. At Project Wadi Attir site. 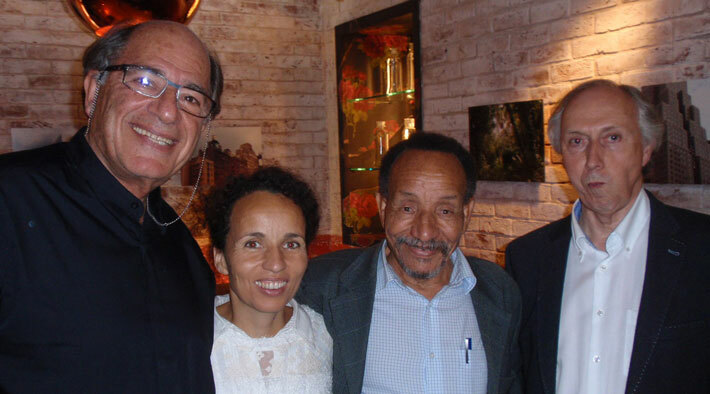 Founding Members of the Wadi Attir Association. Department of Environmental Studies, Pace University. Galapagos Science Center (San Francisco University, Quito and the University of North Carolina - Chapel Hill). TEDxBGU - Ideas Worth Spreading. Michael Ben-Eli presents: "Re-thinking Everything," Ben-Gurion University of the Negev. OIKOS Lecture Series, St. Gallen University. Cooper Union Institute for Sustainable Design, Cooper Union. The Buckminster Fuller Institute, Challenge Fellows Program. Tubac Center for the Arts. Harverford College Margaret Gest Program; In collaboration with the Global Dialogue Institute and the Center for Peace and Global Citizenship. School of Marine and Atmospheric Sciences, Stony Brook University. The Medical School for International Health (Ben-Gurion University of the Negev in collaboration with Columbia University Medical Center), Soroka Medical Center. 4th International Conference on Drylannds, Deserts and Desertification. The Jacob Blaustein Institutes for Desert Research. Friendly Favors and Mt. Diablo Peace Center. Master of Sustainable Real Estate Development Program, Tulane School of Architecture, Tulane University. Sustainability and Globalization Series. School of Architecture, Tulane University. Center for International Agricultural Development Cooperation. Weitz Center for Development Studies. Rio+20 at CU. Cooper Union Institute for Sustainable Design. Association of Cable Access Producers. The Buckminster Fuller Institute and Cooper Union Institute for Sustainable Design, the Cooper Union. Watch a video of the event here. DIY Day. New School For Social Research. Global Affairs Program, New York University. Jewish National Fund Staff, JNF Headquarters. McCombs School of Business, University of Texas. Center for Middle Eastern Studies. University of Texas. Jewish National Fund, Israel Relations Committee and Finance Committee. Bloomfeld House. Design Science Lab, Rhode Island School of Design. The Bet Sha'n Geography Study Group. Jewish Center of the Hamptons. Department of Civil and Environmental Engineering, Technion, Israel Institute of Technology. University of Haifa, Department of Geography and Environmental Studies. Kibbutz Lotan, Green Apprenticeship Program. Department of Agriculture, Food and the Environment, International Program, Hebrew University of Jerusalem. Rhode Island School of Design, Division of Architecture and Design, Re-Box Advanced Studio. JNF South Palm Beach Board of Directors, Broken Sound Country Club. Sages and Scientists Symposium, The Chopra Foundation. LBJ School of Public Affairs, The University of Texas. Department of Environmental Engineering, Water and Agriculture, Technion, Israel Institute of Technology. Project Wadi Attir Special Briefing, UJA Federation. UN Sponsored International Conference on Drylands, Deserts and Desertification. The Blaustein Institutes of Desert Research, Ben-Gurion University of the Negev. Net Impact Conference, Ross School of Business, University of Michigan. Annual Meeting of the International Society for the Systems Sciences. Wilfrid Laurier University. The Arava Institute for Environmental Studies. The Buckminster Fuller Institute, 2010 Buckminster Fuller Challenge at the American University, School of International Service. 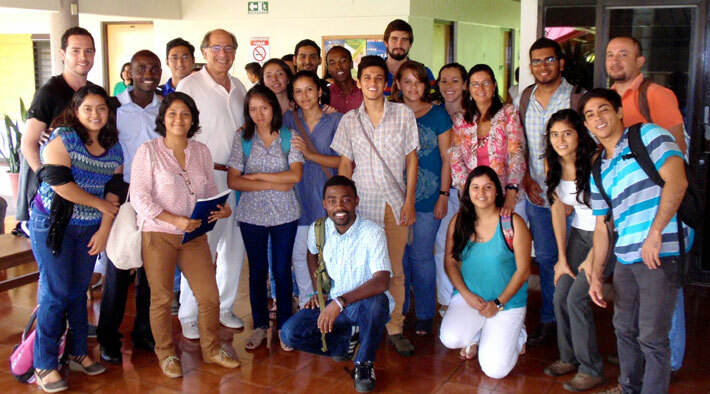 Global Social Entrepreneurship Program (GSEP), Center of Science, Technology and Society, Santa Clara University. World Economic Forum, Global Leadership Fellows, at the Konrad Adenauer Confernce Center, The Jerusalem Foundation. Marion Insitute, Board of Directors. Goizuepa Business School, Emory University. Connecting for Change, Bioneers by the Bay Annual Conference. Watch video of the event here. Annual Meeting of the International Society for the Systems Sciences, Wilfrid Laurier University. The Buckminster Fuller Institute, 2010 Buckminster Fuller Challenge at the American University, School of International Service. Watch video of the event here. Rhode Island School of Design, Nature Lab. Buckminster Fuller Institute, at the Pratt Institute. Jewish National Fund Annual Conference. 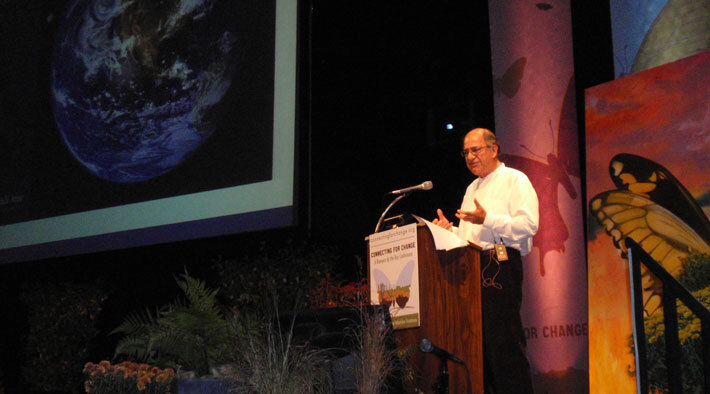 Annual Bioneers by the Bay conference. Institute of General Semantics, Fordham University. Reseau Mediterraneen des Ecoles d'Ingenieurs (RMEI), General Assembly, Sapienza University. Cwarel Isaf Institute, Malik Management Center. The World Bank- Washington, D.C. The Global Environment Facility - Washington, D.C.
World Bank Institute - Washington, D.C. The Graduate Institute, Master of Arts program in Irenic Studies - Meta Center, New York, N.Y.